A current obsession of military planners is keeping up with the latest in battlefield challenges while also dealing with troop reductions and tightened budgets. Video games are one solution, providing soldiers with training that does not involve real munitions or loss of equipment. Unfortunately, most of these games do not provide a real-world immersive feel, coming as close to the real thing as possible while still being safe. 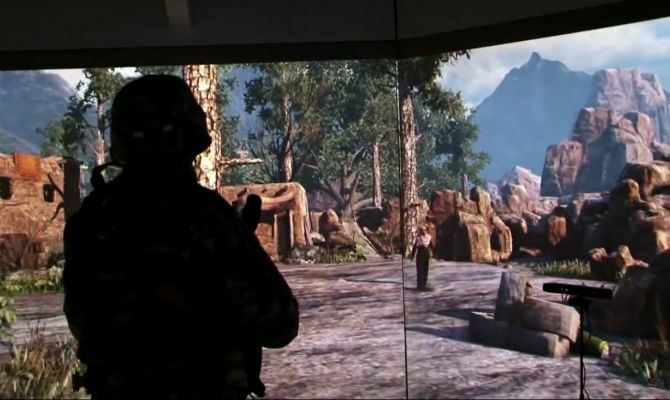 Hence why the the Army Contracting Command enlisted the help of Northrop Grumman this past January to integrate their Virtual Immersive Portable Environment (VIPE) “Holodeck” into the US Army’s training program. Much like the CAVE2, a VR platform created by the Electronic Visualization Laboratory (EVL) at the University of Illinois, this latest holodeck is a step towards fully-realized VR environments. 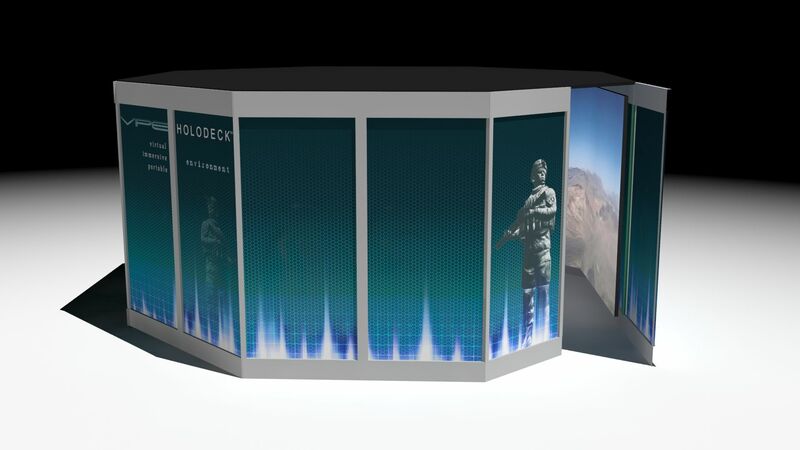 Using commercial, off-the-shelf hardware combined with gaming technology, the VIPE Holodeck virtual training system provides users with a 360 degree, high-fidelity immersive environment with a variety of mission-centric applications. It can support live, virtual and constructive simulation and training exercises including team training, cultural and language training and support for ground, air and remote platform training. 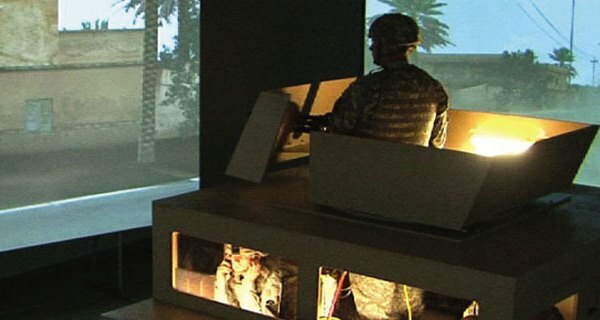 Last year, the VIPE Holodeck took first place in the Federal Virtual Challenge – an annual competition led by the U.S. Army Research Laboratory’s Simulation and Training Technology Center – for the system’s Kinect integration navigation sensor, which gives users the ability to crawl, walk, run, stop, jump, and move side to side in the virtual environment. 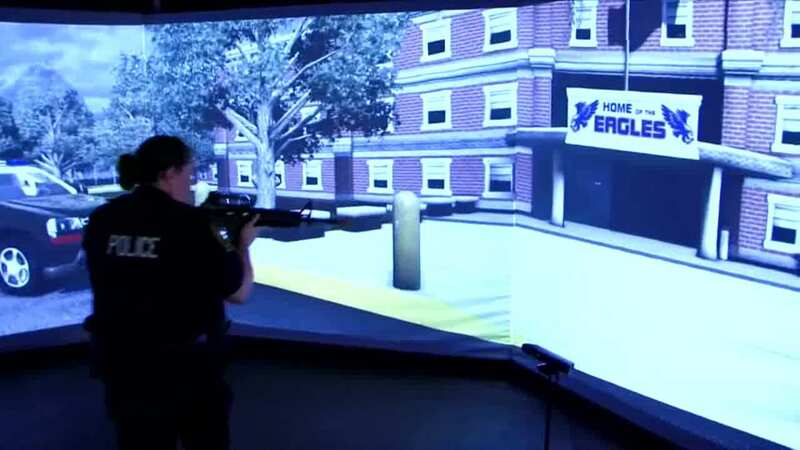 According to Northrop, the VIPE Holodeck moves ahead of other virtual simulators thanks to its advanced situational training, where service members can walk through an area in the replicated virtual environment and prepare for what they may encounter in real life. This works not only for infantry and target practice, but for vehicle drivers and police officers looking to simulate various situations they are likely to encounter. To enhance that training, operators can drop threats into the environment, including IEDs and enemy shooters, as well as signals that should tip them off to potential threats and see how they respond before they actually find themselves in that situation. This sort of versatile, multi-situational complexity is precisely what the Army is looking for. For us to be able to execute realistic training — good training — we have to be able to bring that operational environment [into the virtual world]. We want to get away from having multiple environments, virtual gaming and instruction, and go to one synthetic environment, get to a lower overhead and integrate the full operations process … according to the common operating picture. But looking ahead, the applications for this type of technology are virtually (no pun!) limitless, never mind the fact that we are realizing something directly out of Star Trek. Northrop says it’s also exploring options for VIPE as a stepping stone to live-training within the medical field, as well as law enforcement and first responders for situations such as live-shooter or hostage scenarios. Immersive virtual reality also figures quite prominently in NASA’s and other space agencies plans for future exploration. 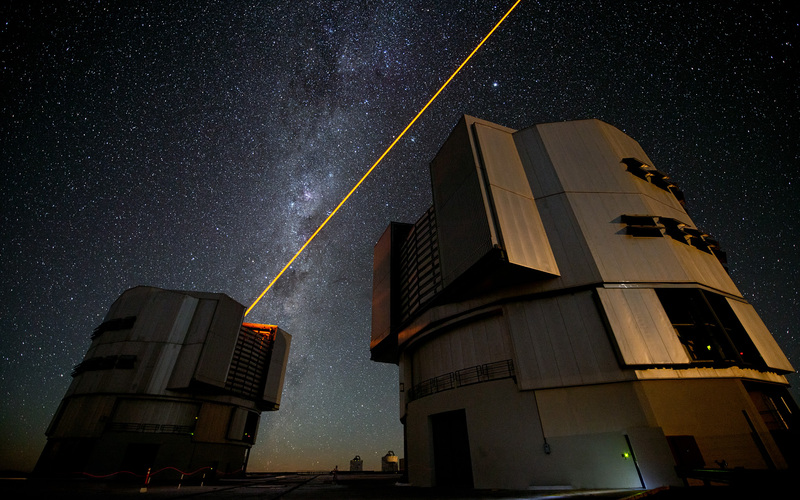 Given that manned missions are expensive, time-consuming, and potentially dangerous, mission planners are investigating Telexploration as a possible alternative. Here, orbiters and rovers would transmit visual information in real-time, while VR decks would be used to give the appearance of being on location. The great thing about virtual reality and gaming technology [is that] it’s moving so rapidly that really it has endless possibilities that we can do. If you can think it, we can create it, eventually. I’ve got to find some way to incorporate this into the 3rd book in the Reborn City series. I can totally see it being a part of the story in the early part of Book 3. Hell yeah! Police, EMTs, soldiers, forensic investigators, coroners; they’ll all have something like this someday. And crime scene reconstruction I think will be one of the best applications. I have an idea for a cop show that uses tech like this. I want to see it made someday. I hear you can find him in Chicago or Los Angeles.